We have experience with every aspect of our clients’ firms. Our ability to offer end-to-end solutions, ranging from Strategy and Management to Client Development and Growth, is unique in professional services which gives each of us a tremendous amount of pride in our firm. Our clients rely on us to deliver consistently high quality work. We work in partnership with our clients to assure we are delivering advice and services at the highest caliber. To us, “client service” means more than providing top-rate advice at a response level our clients expect. Our objective is to become trusted business advisors on whom clients can depend now and into the future. We put our clients first. Our consulting and support team have a common trait of outstanding achievement. Our consultants and support staff have worked in or with the professional services industries for most or all of their careers. We encourage ongoing professional development to make the most of our team’s talent and provide them with the training, support and challenging opportunities they need to stay as top-ranked advisors. While we embrace our diversity and individualism, we operate as one firm. We maintain consistently high standards for service and our team so our clients may expect us to always bring the best team. In addition to co-founding LVG Advisors, Bruce is a Principal at LawVision Group, LLC which he joined in 2012. 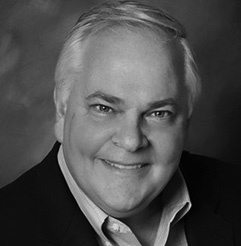 Prior to joining LawVision, Bruce spent 25 years in house as a sales & marketing professional. His experience includes six years as a Director of Sales at Ernst & Young in New York City and nearly 10 years as an AmLaw 100 Chief Marketing Officer with offices spanning the US. Jim is a Principal and Co-founder of LVG Advisors. He is widely recognized as a leading authority on sales, business development and key client management in the professional services industry. For the past 15 years, Jim has led business development training and coaching programs for many of the top legal, accounting and consulting firms in the world. Joe joined LVG Advisors in 2017 as a Senior Consultant to leverage his experience working with the senior-most leaders in businesses to help them understand the dynamics of effectively bringing their services to the market and close business. For six years, Joe was a National Director at Ernst & Young, where he trained and mentored the firm’s Partners and Senior Managers on their sales and marketing capabilities, in addition to being a player-coach on a number of successful multi-million-dollar sales pursuits.